January 18th, 2019 - Posted in New York Travel Tips. New York City is one of the most densely populated cities in the world, with some of the busiest transit hubs in the country and the largest subway system in the world. Because of this, sometimes getting around can be a little overwhelming! Like most major metropolitan cities, New York’s main airports are also not located in the heart of the city. 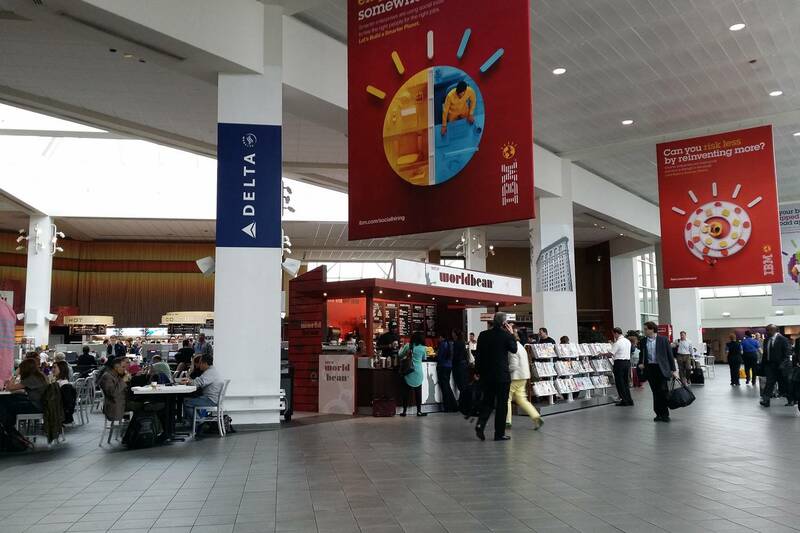 Despite the major draw of Manhattan for business and tourism alike, most travelers to New York make their entry by way of the airports on the fringes of Queens or even New Jersey. 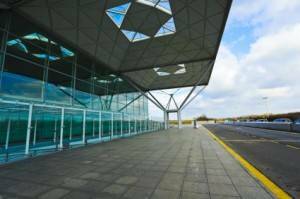 While this can be intimidating to first-time residents of New York, we at New York Habitat have compiled a list of tips and a 3-part guide to traveling from the airport to your furnished apartment while you stay with us. 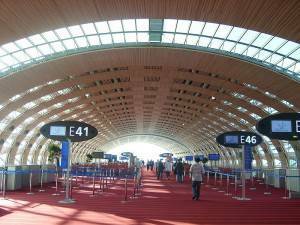 Because air travel can be unpredictable, we also have your guide on what to do if your travel plans change. Our licensed agents and New York Habitat hosts are here to help! 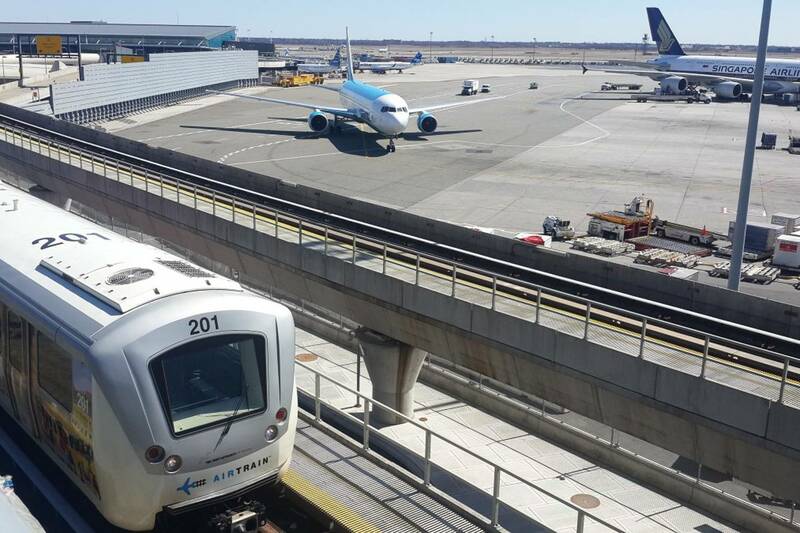 The AirTrain, JFK’s rail system, connects the airport’s terminals and shuttles passengers to area transportation. 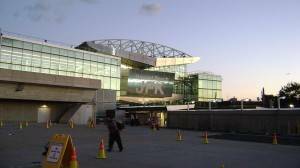 John F. Kennedy International Airport, aka JFK, is located in the neighborhood of Jamaica in Queens. 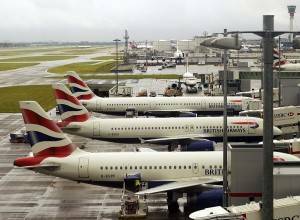 The airport is the busiest international gateway in North America, so if you’re coming to New York from abroad, it’s likely that your flight will land here! Of New York’s three major airports, JFK is the furthest from Manhattan. Most international flights to New York City arrive at JFK airport. The terminals of JFK are all separate, but you can easily travel between them thanks to the AirTrain, the airport’s rail system. 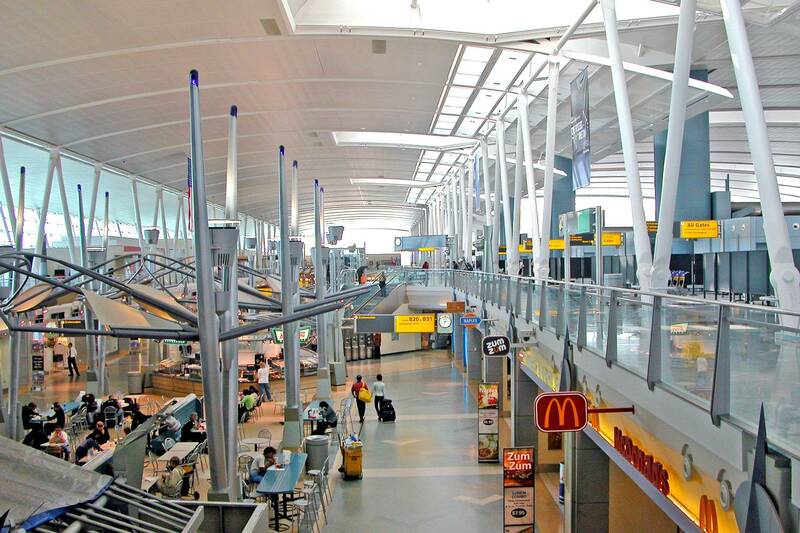 Despite being the furthest from Manhattan, it can be argued that JFK is the most well-connected of all the airports by subway and other transportation options! 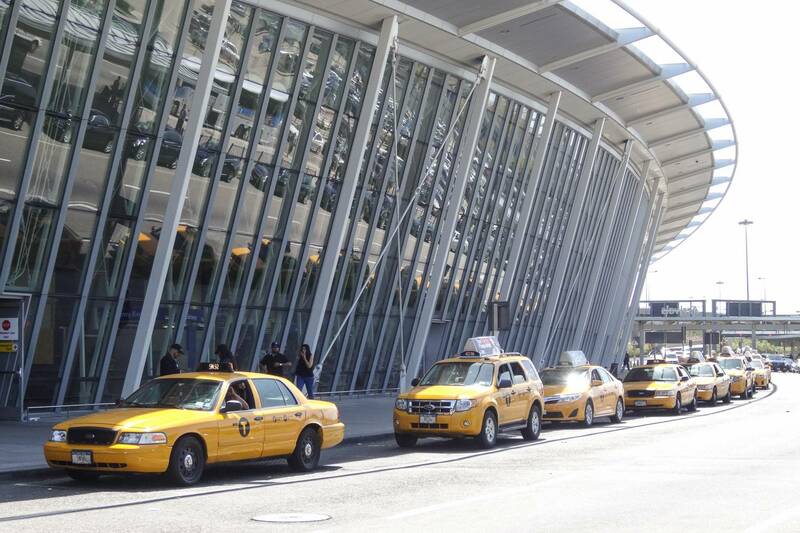 Know your options: Here’s all the ways you can get around New York from JFK Airport. Looking at a map, Jamaica may seem dauntingly far from the center of the action in Manhattan, but when you know your transportation options, you’ll be navigating through New York City like a pro. You can hail a cab by any terminal that will drive you directly to any location in the city. New York City taxis can be yellow (Manhattan cabs) or bright green (Boro cabs), but they will always be clearly labelled with an NYC Taxi logo and have a roof light. These are the only taxis that can legally pick you up at the curb—be careful not to get into an unlabeled taxi, as they sometimes run scams on unsuspecting tourists or run unregulated. For more taxi etiquette tips and precautions, read our blog. Taxis are by far the most expensive way to travel to and from the airport; the flat-rate fare to and from JFK is $52, not including tolls and an expected 15-20% gratuity. However, if you have a lot of heavy luggage, traveling by taxi may be the most convenient and comfortable option for you. If you’re looking for quick and easy transportation, you can’t beat the subway! There are no subway lines that run directly into JFK, but the AirTrain will directly connect you with 4 subway lines that all run to Manhattan. To ride the AirTrain and the subway, you’ll need to purchase a MetroCard at a marked kiosk. The trip will cost you $7.75 one way ($5 for the AirTrain and $2.75 for the subway) no matter where in the city you’re going, making it a popular and affordable option for travelers and local New Yorkers alike. There are two AirTrain lines: For the A subway line, take the Howard Beach AirTrain Line. 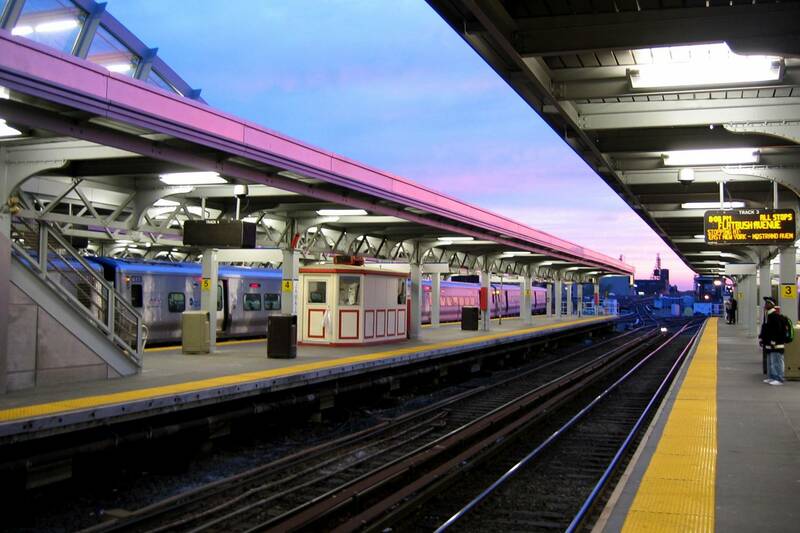 For the E, J, or Z subway lines, take the Jamaica Station AirTrain Line. Please note that most subway stations require the use of multiple sets of stairs and narrow turnstiles. If you’re physically disabled or traveling with a lot of luggage, you may want to consider other transportation options. Another option is to take the AirTrain Jamaica Station Line from JFK to Jamaica Station, and then transfer to the Long Island Rail Road at Jamaica Station. The Long Island Rail Road will connect you directly with Penn Station in Midtown Manhattan. Travel time on the LIRR is also about 20-30 minutes to Manhattan, vs. about an hour on the subway, but a trip will cost $15.50 one way. Last but not least, a city bus is the cheapest option for transportation from the airport. Three New York City bus lines run directly to JFK airport and will pick you up at the curbside: the Q3, Q10 and B15 city buses. A bus trip costs $2.75 one way via your MetroCard and will allow you one transfer to another bus or subway. If you’re staying in Richmond Hill, Kew Gardens, Ozone Park or Jamaica in Queens, or East Flatbush, Bedford-Stuyvesant or Crown Heights in Brooklyn, you won’t even have to transfer—the three bus lines serve these neighborhoods directly. The only drawback of traveling by bus is that it’s not necessarily recommended for first-time New York travelers. Bus stops are not announced by the driver, and the driver does not stop unless a rider requests a stop. To ensure you don’t miss your stop, let the driver know where you want to go when you board the bus, or follow along on a GPS map on your mobile device as you ride so you know when to pull the stop request cord. 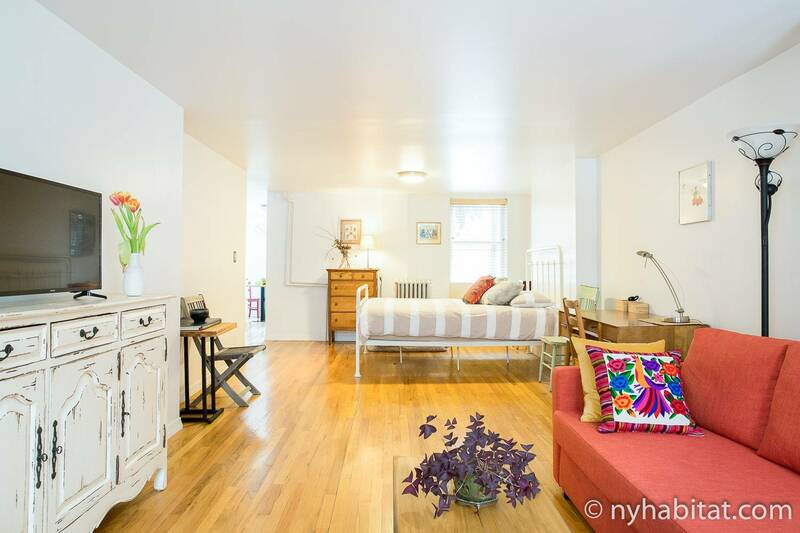 New York Habitat has a full selection of furnished apartments, roommate shares and vacation rentals throughout Brooklyn and Manhattan. Ask your agent about any of these neighborhoods for more information! But don’t just take our word for it! 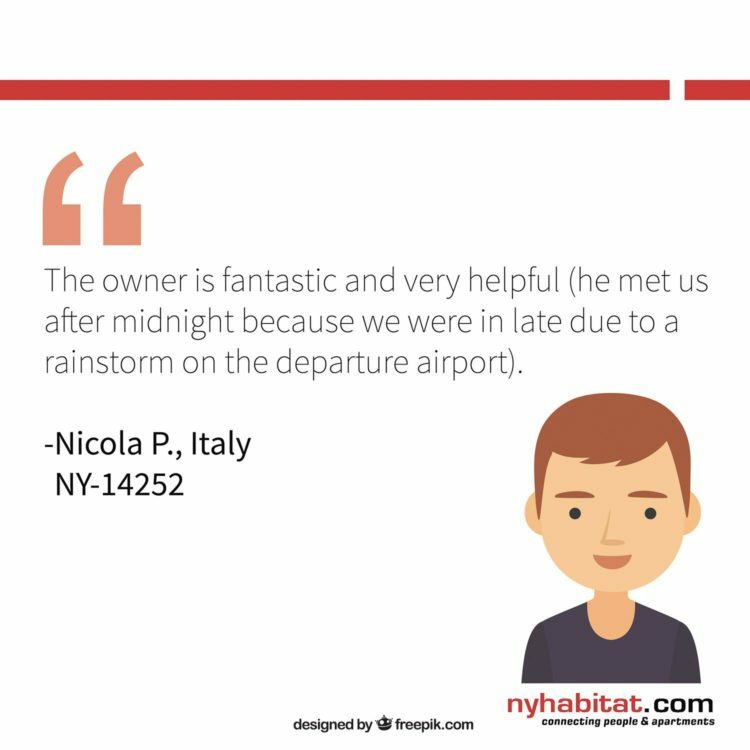 Below, you can find testimonials from past clients who took advantage of New York Habitat’s unique approach to apartment rentals to cope with a change in travel plans. At New York Habitat, we aim to personalize your apartment rental experience. When you rent an apartment with us, you can travel or move with the knowledge that you’ll have the human touch of someone to help you with any problems you may encounter. If you’re looking to get in touch with one of our agents to help with your apartment search, use our form to submit a request. We look forward to connecting you with your ideal apartment! Light Up the New Year with New York Habitat!